Faversham travelled to Bexley knowing a bonus point win would place them second in Kent 2, and put together a tactful performance in Gayle-force winds to do just that. Director of Rugby Rob Dengate praised the performance and described it as ‘one of the best of the season’. Playing into the wind in the first half, Faversham knew they were going to be up against it from the off. However, a smart pick and go game plan enabled the away side to dominate the first half, with significant periods of time camped in the opposition 22’. It was Bexley however who opened the scoring. Egleton was charged down before Woolf reclaimed the ball for the visitors. He was then hit with a forearm in the tackle and his retaliation saw him penalised. This led to the home side opting for the posts and taking a 3-point lead halfway through the first half. Faversham hit back almost straight away. Their pack drove Bexley off of their own ball and number 8 Garnham picked blind making good yards. Slow ball meant McDermott and Mills were required to make carries from the base of the ruck before Jaynes spotted a miss-match and called for the ball. He drew his opposite man before selling him with a dummy and cutting inside to cross the white wash for Faversham’s first try of the afternoon. New signing Sam Payne kicked the extras and gave Faversham a 7-3 lead. The away side continued to dominate, especially up-front in the scrums where they were winning ball against the head on a number of occasion. Despite this, Bexley were the next side to score points after ill-discipline from the away side led to Bexley adding 3 points from the tee. This meant the teams went into the break with Faversham holding a slender 7-6 lead. Now playing with the wind in their tails, The Castaways took little time to score their second try of the afternoon. After a well worked lineout move, the ball went wide with Jaynes finding Gander-Compton on a crash up the centre of the pitch. Mills and Garnham carried strongly once again enabling quick ball for Tabor at the base of the ruck. He found fly-half Jaynes on the rewind who hit Payne on a deep line. Payne then showed a good combination of speed and strength as he crashed over the line out wide. He then kicked the conversion to make the score read 14-6. Faversham were now in complete control and after a big scrum were awarded a penalty as the home side lost their bind. Jaynes kicked to the 22’ and Egleton found Meadows jumping at the rear of the lineout before setting up a maul driving inwards towards the post. A strong drive sucked in a number of Bexley players before Egleton spotted a gap out wide. The tighthead-prop then broke from the base of the scrum and slid over the whitewash in the corner to score his 14th try of the season. Payne once again kicked the extra’s taking the score to 21-6 in favour of the away side. Faversham then secured their bonus point only 10 minutes into the second half. A good kick chase from winger Gray led to the home side being pinned down in their own 22. A poor clearance led to a counter attack from Mills who made significant yards into the home sides 22’. Jaynes called for a pod on his shoulder and found captain McDermott who crashed over to score Faversham’s fourth try of the game. Bexley then scored a good try of their own but Faversham got the final points of the game as open side-flanker Mills scored his 7th try of the season with a good finish out wide after good work from the pack opened up space for him to exploit. He darted between two defenders before using his power to get over the try-line. This made the final score 35-11 to Faversham and meant that are now sitting second in the table on their own, with a game in hand on third placed Lordswood. Sittingbourne follow closely behind in fourth place and it will be one of these three sides that joins Cliffe in gaining promotion. Captain McDermott said after the game ‘We are hitting form just at the right time with a dominant win in difficult weather conditions. Bexley simply couldn’t handle us today especially with the pace we played at’. 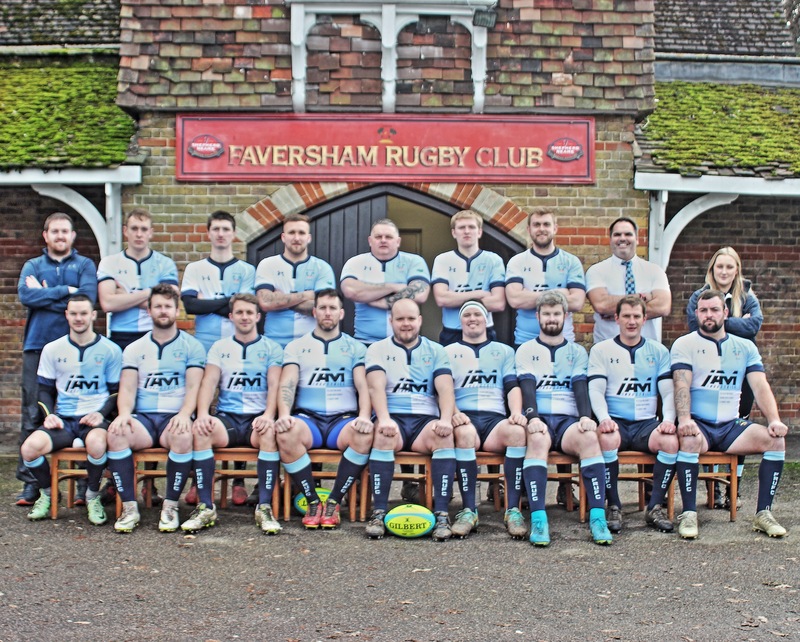 Faversham face Sittingbourne in the Kent Salver Semi-Final on Friday night at Canterbury rugby club (8pm KO) before welcoming Brockleans to the rec next Saturday in the league (3pm KO).